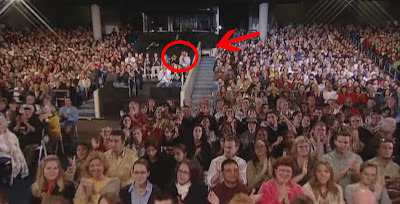 Well, we haven't seen ourselves in the audience for the SeaWorld Wheel of Fortune shows yet. The director told us that they intermix audience shots across the whole time, so we could theoretically be in one of the still upcoming shows. We've watched every night for the past two weeks, but haven't seen anything. If we happen to catch a glimpse of ourselves in an upcoming episode, we'll let you know.